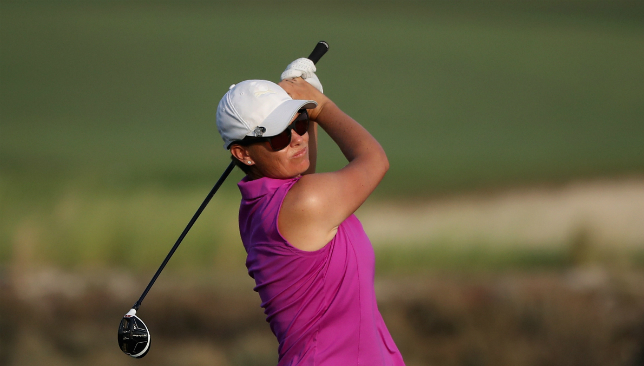 It was a tough day for Marianne Skarpnord as Norway’s rising star dropped to two under par, while fan favourite Carly Booth shot another 72 to finish agonizingly short of the cut going into day three. 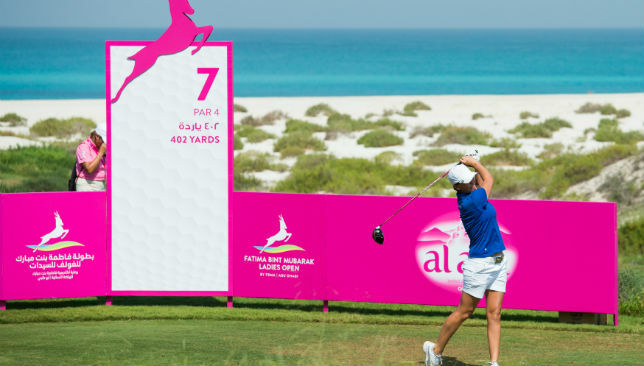 It was also a disappointing day for reigning champ Beth Allen, another not to make the cut, who immediately tweeted after her round: “What a world class event here at Saadiyat Beach Golf Club for FBMLO. Gutted to have put up such a terrible defense. #nextyear”. The Village was buzzing with visitors today, as guests enjoyed refreshing cuisine, family fun and views of Saadiyat Beach Golf Club’s fairways basked in the Arabian sun. The Fatima Bint Mubarak Ladies Open teed up more than just golf ahead of the weekend on day two at Saadiyat Beach Golf Club, with visitors enjoying activities such as chipping challenges, the regions first-ever ‘paint golf’, and introductory beginners’ sessions in the popular tournament village, as well as culinary delights from Theo’s Point. 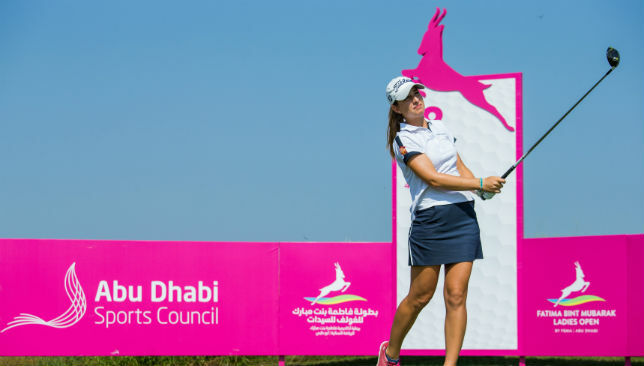 South Africa’s Lee-Ann Pace leads the field of the world’s best women’s golfers, as the second edition of the Fatima Bint Mubarak Ladies Open teed off on Wednesday at Saadiyat Beach Golf Club. Brit Georgia Hall who came so close in 2016 as runner-up, commented earlier this week that it would be “great to go one better” and win the milestone event this year, and her round on Wednesday certainly backed up her statement. The 21 year old – who currently sits just three shots off the leader after today’s round– racked up a total of seven birdies throughout her round to follow closely behind on 3-under par. The ‘Swing Against Cancer’ Charity Golf Series will take place this Thursday at Jumeirah Golf Estates, and there’s still a chance to play during the day or dine at the gala event with celebrity guests. Legendary football player and manager Harry Redknapp, England’s 2003 Rugby World Cup winner Mike Tindall, winner of the 2005 US Open Michael Campbell and former Westlife star Brian McFadden will all be attending. The Swing Against Cancer Charity Golf Series 2017, launched by Sixteen10 and Worldwide Golf, follows on from the success of the Mike Clark Charity Golf Day, which over four years has raised more than US$125,000 for the Friends of Cancer Patients charity (FoCP), and over $50,000 in 2016 alone. Clark, a former UAE resident, golfing enthusiast and Jumeirah Golf Estates employee, tragically passed away from cancer aged 30 on October 16, 2012 – hence the name Sixteen10. Bids to compete alongside one of the celebrities, or for the final place in the amateur tournament can be made online at www.swingagainstcancerauction.com.